Re-implanting strategies are an important management tool for improving efficiency of cattle fed up to 200 days. Photo courtesy of Troy Walz. 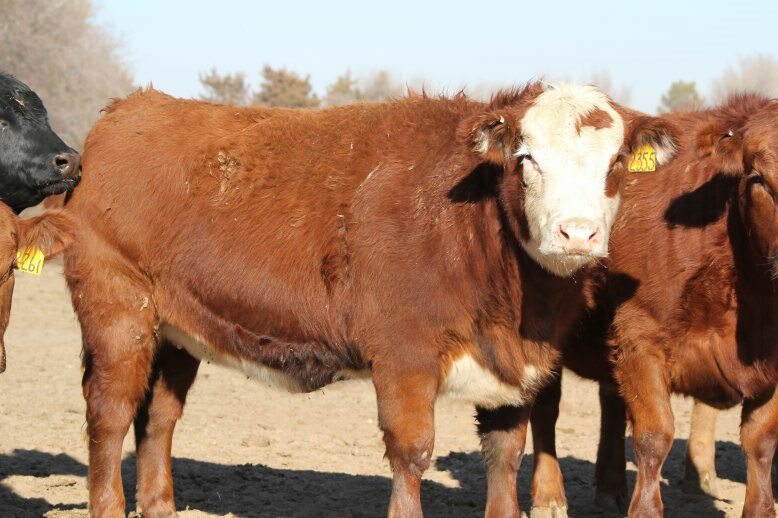 This is a review of two research studies conducted at the University of Nebraska that evaluated the impact of initial implant program on performance and carcass characteristics of calf-fed steers. Re-implanting strategies are an important management tool for improving efficiency of cattle fed up to 200 days. It has been well documented that implants can improve growth rate up to 20% and feed efficiency 10-15% in finishing cattle. To maximize the benefit of this technology, it seems the industry has adopted the use of more aggressive implant strategies. Cattle were harvested at the same days on feed (DOF). Initial implant had no impact on feedlot performance. Steers initially implanted with Revalor®-XS had an increase in ribeye area (REA) and less 12th rib backfat, which resulted in a higher percentage of yield grade 1 carcasses. However, cattle that received the Revalor®-200 and Revalor®-XS had a higher percentage of carcasses that graded USDA Select compared to steers initially implanted with Revalor®-IS. When cattle are fed to a common fat endpoint, implants have shown to have no impact on carcass quality. However, most cattle are fed to the same DOF resulting in increased carcass weight and REA but lower marbling. All cattle were re-implanted on day 133 with a terminal Revalor®-200 and harvested at equal days on feed. Overall, these three implant strategies resulted in similar feedlot performance and carcass characteristics. Interim performance data showed that cattle implanted more aggressively early on had higher gains through the beginning of the feeding period, but the gain and feed efficiency advantage was not maintained throughout the finishing phase. In this case, the saying, “The bigger, the better,” does not necessarily apply. With the lack of differences in performance, the use of aggressive initial implants may not be worth the investment when compared to a traditional, low potency implant followed by a terminal, higher potency implant in calf-feds harvested at equal days on feed. For more information on these implant studies, see “Effects of Three Aggressive Implant Protocols on Feedlot Performance and Carcass Traits of Calf-Fed Steers” in the 2015 Nebraska Beef Cattle Report and “Effect of Three Initial Implant Programs with a Common Terminal Revalor®-200 on Feedlot Performance and Carcass Traits of Weaned Steers” in the 2017 Nebraska Beef Cattle Report.